Combine both of this season's trends, with this women's lace front T-shirt. 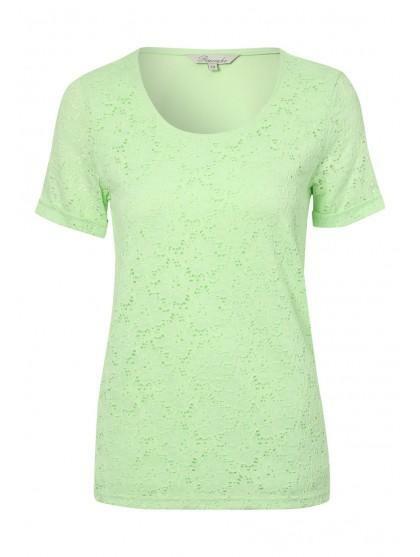 In a gorgeous shade of light green, this T-shirt features a lace front, round neck, short sleeves and a contrasting back. Team with a pair of linen trousers and sandals for a fresh, daytime look.